In an Instagram post in Persian language, the well-known American wrestler Jordan Burroughs thanked Iranian people for the love they showed for him during the recent World Cup in Iran, saying he would love to visit the country again. 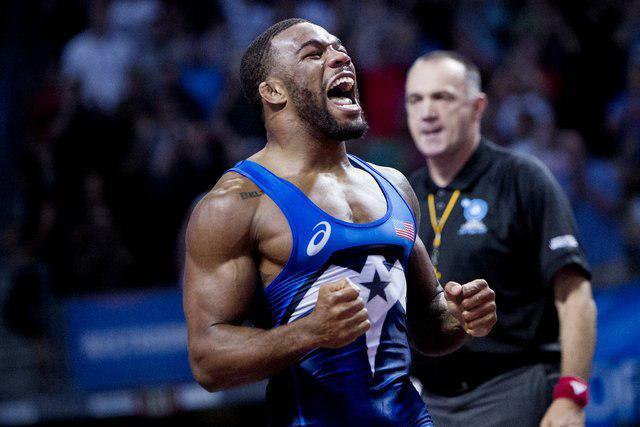 The London 2012 Olympic champion Jordan Burroughs who took part in the 2017 Freestyle Wrestling World Cup in western Iranian province of Kermanshah on February 16 and 17, has, in a post in Persian language on his Instagram, expressed appreciation for the love and affection Iranian people, particularly the spectators, expressed towards him during his short stay in the country. According to a report by IFP, he also expressed willingness to visit the country once again. In the 74kg bout of the final showdown of the team tournament, Burroughs broke Iran’s consecutive winning streak, defeating Peyman Yarahmadi, 3-2. “I hope that you will always be victorious and honourable. At present, I am travelling back to my country. Thank you again for everything. I love you very much and would love to come back to Iran again. Hope to see you soon,” Burroughs added. Iran defeated USA in the final to win the Freestyle Wrestling World Cup title for the sixth time in a row. Azerbaijan placed third with a victory over Turkey.